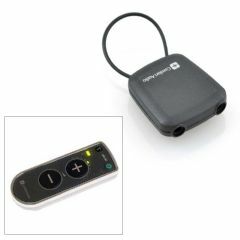 AllegroMedical.com presents The Comfort Audio Duett New Personal Listener Neckloop Adapter. This Comfort Audio Neckloop Adapter is required for connecting the Comfort Audio Neckloop (sold separately) to the Comfort Duett Personal Listener. Designed for the Comfort Duett Personal Listener model with large volume buttons (sold separately).